Of all the ancient cultures, the Egyptians, the Greeks, the Thracians are some of the most mysterious. 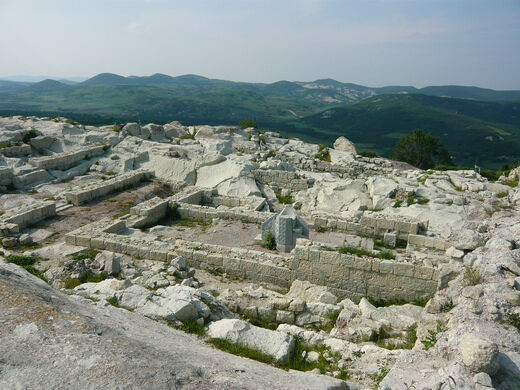 Seen by the Greeks as great warriors – as well as barbarians – the Thracians had no written language, and left behind little in the way of monumental architecture. The temple that withstood the Nazis. But despite the fact that they were numerous – Herodotus called them the second most peopled group in the world after the Indians – it is believed they mostly lived in villages and were not city builders. (Herodotus also said “they sell their children and let their wives commerce with whatever men they please.”) Today, archeologists still know little about them, and a recent finding has made even the common held beliefs about them suspect. 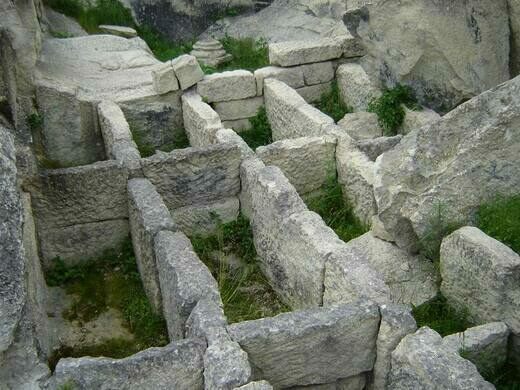 Perperikon (also Perpericon) is the largest megalithic archeological site in the Balkans, and currently being unearthed by Prof. Nikolai Ovcharov, known as the Bulgarian Indiana Jones. 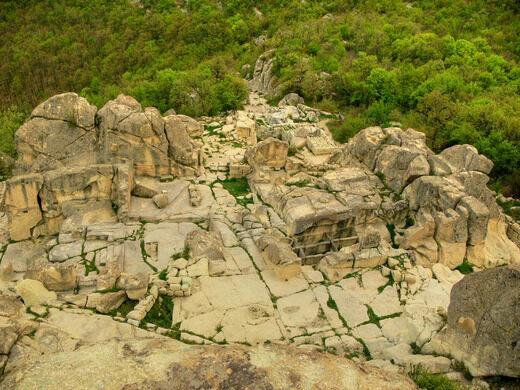 It sits on a high, rocky hill some 15 kilometers to the north of the present-day town of Kardzhali in Bulgaria. While the first traces of civilization at Perperikon go back to 5000 B.C. 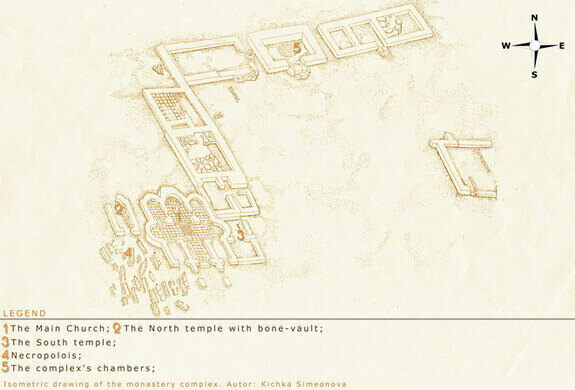 what is of most interest to archeologists is the more recent (1500 B.C. ), and only known example, of a huge Thracian city called “the European Machu Picchu” or the “Stone Pompeii.” Complete with buildings, rooms, streets, squares and a water supply system, it is unlike anything that anyone had ever associated with the “barbaric” Thracians. 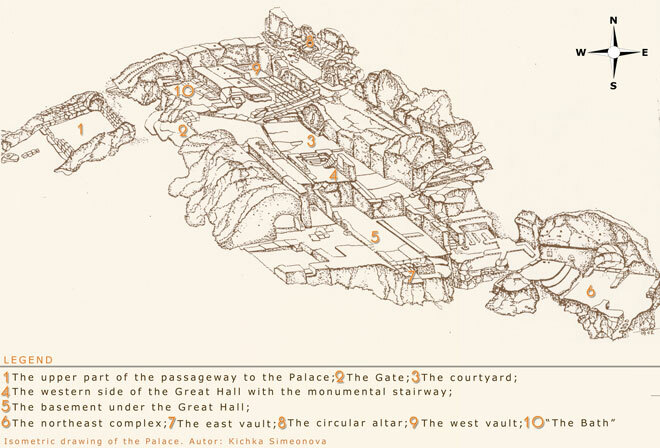 Of particular interest is a huge altar 6 feet in diameter and hewn straight out of the rock. Here the Tracians would have practiced fire rituals such as dancing on hot coals, and would eventually (500 AD) erect a small church when they were Christianized by the Romans. According to the ancient Thracians, the fire dance was in honor of the creator of the world, which was conceived when a woman materialized (showing herself as the sun during the day and asfire at night) and gave birth to a son. The son and mother slept together to make Orpheus the creator/destroyer of the world. The ancient Thracian cult practice of fire dancing continues to this day in the Bulgaria region, under the name Nestinarstvo, though it is now largely commercialized and performed for tourists sake. Despite having been imbued with Christian symbolism, in rural areas of Bulgaria the fire dance is still done in a manner very similar to the way the ancient Thracians would have practiced it on their cult alter in honor of an incestuous creator mother, 1500 years before Christ was born.